All of our medium and large Hell-Bent® Wallets are compatible with all of our colorful titanium money clips. Every clip ordered with a wallet will be fit together upon shipping. When ordering more than one set of wallet/clip, be sure to specify in the “Notes” section in your cart, as to which color wallet and slim design money clip you want paired together. Anodized color on the American made money holder clips is produced by light refraction and interference of wavelengths. The film thickness is thin but the anodized layer is very durable; it takes a heavy polish and rubbing to remove. The color may change, due to the oil in your fingers but the color will return with a spray of Windex, or a similar cleaning product. Your colorful titanium money clip will come with a skid plate that will help you slide your cash under the money clip with ease. 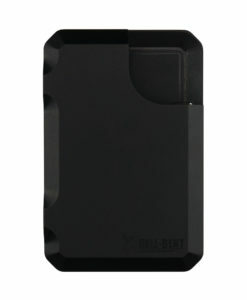 ALL SLIM DESIGN MONEY CLIPS COME WITH A COMPLEMENTARY SKID PLATE. 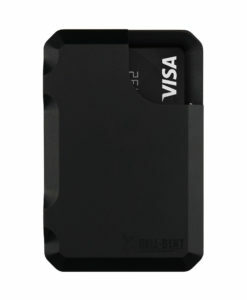 ADDITIONAL SKID PLATES CAN BE PURCHASED IN THE WALLET ACCESSORIES SECTION. As always 100% AMERICAN made money clips!